Thanks so much for signing up for emails from Dear Diane. 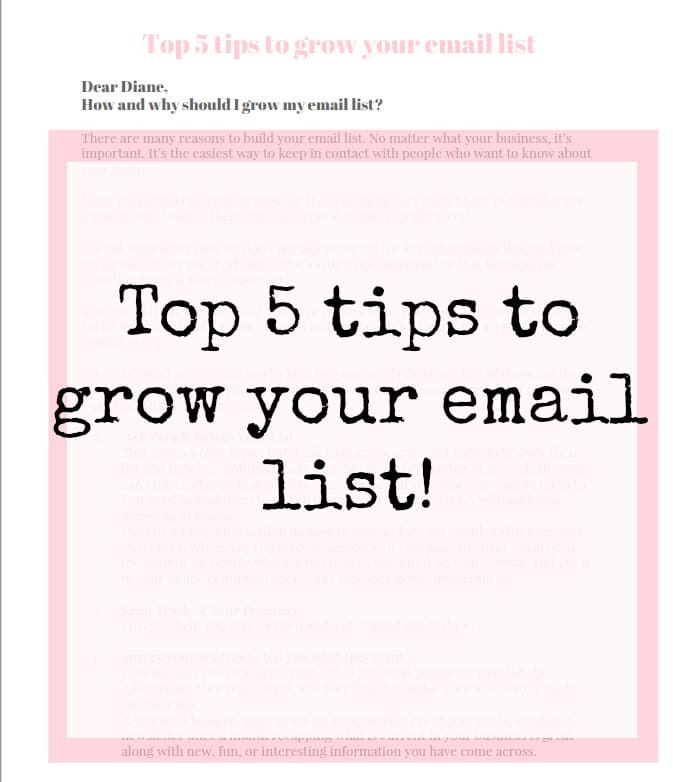 Click for my Top 5 tips to grow your email. Visit Dear Diane and take a look at the free printables to get you started thinking more about how you will grow your business.